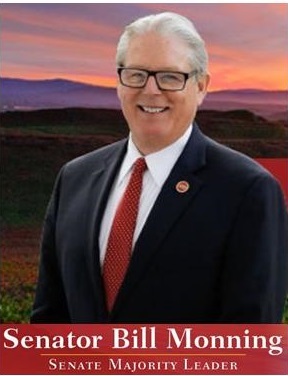 Senator Bill Monning invites you to attend office hours in Paso Robles to meet with his district representatives to discuss state-related issues. As your representative in the Senate, I am committed to providing you with the highest quality of public service possible. My staff and I are here to assist you in navigating the labyrinth of state services and to provide you with helpful information. Listed below are just some of the services my District Offices can provide. We look forward to hearing from you. While my office provides a variety of services, we cannot offer legal assistance or advice. My district staff and I may not always be able to assist you with federal or local issues. However, in these instances we will refer you to the appropriate government entity to ensure that you receive assistance. Not sure if your problem is a state, federal or local issue? Please call my office and we will help you figure it out! If you know of someone being honored for his/her work in Senate District 17, my office can provide a certificate of recognition to acknowledge his/her outstanding achievement. Please give us at least two weeks prior notice to process your request. Throughout the year, I offer internship opportunities to high school, college and graduate students in my district offices. This is a wonderful opportunity for those who want to gain firsthand knowledge about how government works, as well as an opportunity to work on behalf of our local communities. Interns work on specific projects and assist with general office tasks. Projects may include collecting, analyzing, and presenting data; assisting constituents; and helping to organize events. Please contact any of my district offices for additional information.